Bridge of Spies is coming to theaters everywhere Friday, October 16, 2015. Bridge of Spies, a tense, cold war thriller, tells the story of James Donovan, a Brooklyn lawyer, trying desperately to secure the release of a captured American U-2 pilot. 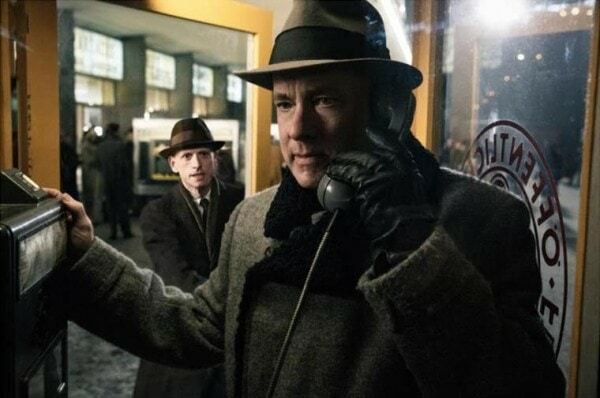 Bridge of Spies is one of the best cold war thrillers to be released in a long, long time. With the direction of master film maker Steven Spielberg, and the kind of immersive acting we’ve come to expect from Tom Hanks, Bridge of Spies brings you into the story of a Brooklyn lawyer who feels completely out of his depth and his life or death struggle to free a captures American pilot. A dramatic thriller set against the backdrop of a series of historic events, DreamWorks Pictures/Fox 2000 Pictures’ “Bridge of Spies” is the story of James Donovan, a Brooklyn insurance claims lawyer who finds himself thrust into the center of the Cold War when the CIA sends him on the near-impossible task to negotiate the release of a captured American U-2 pilot. Directed by Steven Spielberg, the film stars Tom Hanks, Mark Rylance, Scott Shepherd, Amy Ryan, Sebastian Koch, Alan Alda, Austin Stowell, Mikhail Gorevoy and Will Rogers. “Bridge of Spies” is produced by Spielberg, Marc Platt and Kristie Macosko Krieger with Adam Somner, Daniel Lupi, Jeff Skoll and Jonathan King serving as executive producers. The screenplay is by Matt Charman and Ethan Coen & Joel Coen. For one thing, Bridge of Spies is a great film. Nothing kills a date like a crappy movie. We all know that. It’s hard to settle into that theater seat and hold hands with your lady – or man, as the case may be – when all either of you can think about is when the crap-tacular movie you’re watching is going to be over. Another thing that makes this a great date night movie is the story itself. This is a tense thriller. There’s a real sense of life and death brought to the screen with Spielberg and Hanks. Movies like this are tailor made for a nervous girlfriend to grab her date’s hand. That’s always welcome on a date, whether it’s a first date or a scheduled date night. Bridge of Spies is a masterful cold war thriller full of political intrigue, hold-your-breath moments, and a tense sense of immediate danger. It’s the perfect movie for date night. You’ll have all sorts of things to talk about with your date over dinner, and you might score a little extra hand holding or an arm around the shoulder. It’s a win/win, so head to the theaters with your lady or your guy this Friday, October 16, and see Bridge of Spies. Tom Hanks is one of my favorite actors. 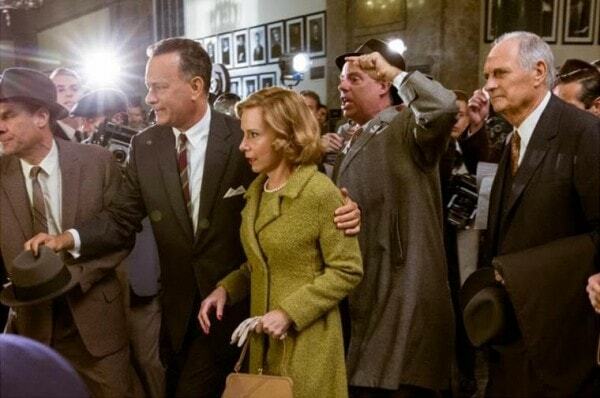 Bridge of Spies looks like its going to be another one of Tom Hanks’ best. The movie trailer looks like its going to be a must see movie. I love Tom Hanks acting so definitely want to see this movie. Im a big Tom Hanks fan so I will be seeing this movie. Bridge of Spies sounds like it’s going to be a good one, I’m looking forward to seeing it. Thank you for sharing this post. I know that I am going to love this movie! 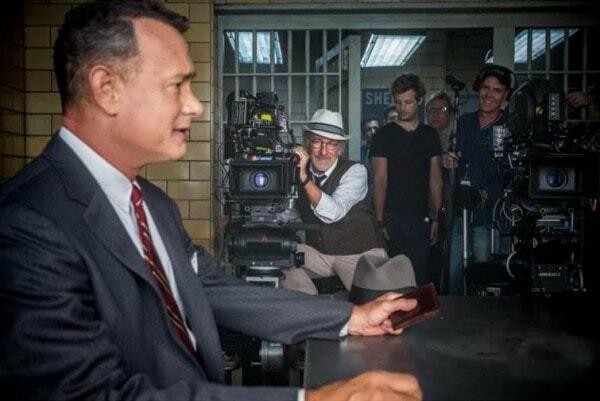 It looks amazing and of course an incredible director and Tom Hanks is going to make this movie a must see! Have to look into that movie & see who wants to go with me. I loved this movie! (we own it); wasn’t Mark Rylance fantastic in it!